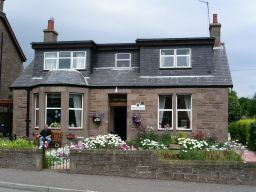 You are guaranteed a warm and friendly Scottish welcome by the Robertson family in their comfortable home; located in the Royal Burgh of Forfar, within the County of Angus. "Please join us and relax in our charming, detached Victorian cottage. We have been running our 3 star bed and breakfast accommodation for fourteen years, and are delighted to have many return guests." 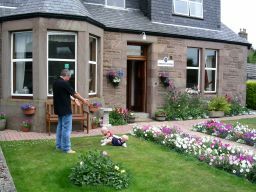 Central location ideal for many activities including golfing, curling, hillwalking, fishing, off-road driving, estate shooting, shopping and many tourist attractions including Glamis Castle.